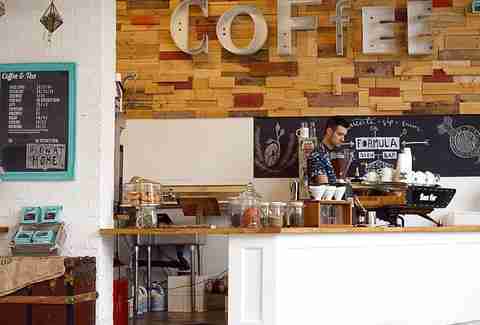 "For my first drink of the day, I typically go for a 6oz breve, a variation on a latte. It's made with half and half instead of milk, which lets the flavor of the espresso shine through without the drink being overly heavy. You get more flavor from the sugars instead of the fat so it automatically sweetens the beverage. 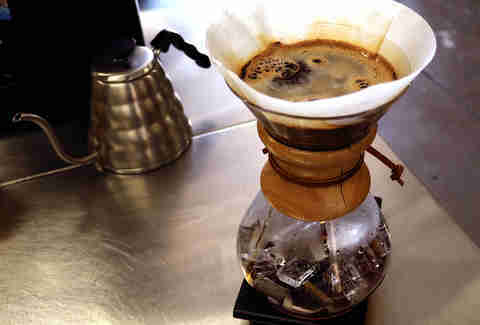 You really shouldn’t have to add anything to a breve because you’re getting more of the lactose." "Our sparkling cascara tea, which combines Perrier and a splash of simple syrup, really is the perfect coffee drink for San Diego. The bubbles of the Perrier combined with the refreshing nature of the cascara make it a great afternoon pick-me-up, and it's a great way to add cascara, made from the dried skin of the coffee cherry, into your coffee drink rotation." 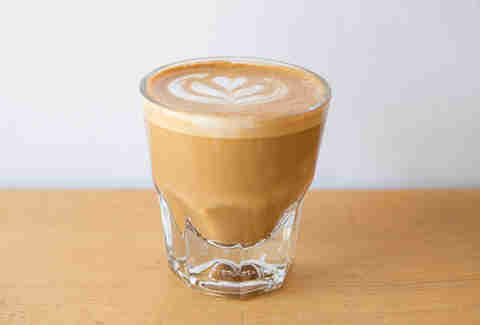 Editor's note: Depending on who you talk to, a cortado and Gibraltar are two sides of the same coin. 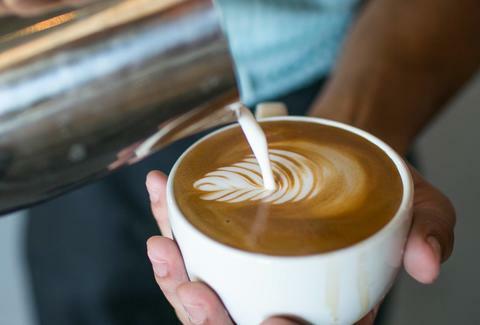 Typically equal parts steamed milk and espresso, calling this coffee drink a "Gibraltar" is a wholly West Coast invention and can be traced back to the baristas at Blue Bottle in San Francisco. Cortados have roots in Spain, Portugal, and Latin America. Ultimately, it comes down to what type of glass you're serving the drink in -- a flat glass or a Gibraltar tumbler, made by Libby. "The cortado, made with equal parts espresso and steamed milk, is my go-to, thanks to its silky texture and bold flavor. Many customers raise an eyebrow when they discover this little gem. Even regulars treat themselves to a cortado once in awhile, and of course, we have those who wouldn't go a day without one." “The cortado is my favorite drink because it really showcases the espresso shots combined with just the perfect amount of textured steamed milk. For those coffee drinkers who don’t prefer that much milk but still love the boldness of an espresso shot, like myself, the cortado is the perfect balance." 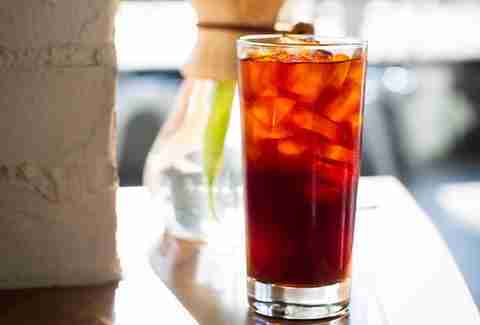 “My favorite beverage, especially on the sunny San Diego days, is cold brew. It's powerful enough to pull me through my new mom exhaustion, smooth enough to chug like water, and bright enough with or without milk. It’s a good alternative to jet fuel." “I love the cafe con Leche -- it's our signature drink, and we are one of the only places in San Diego that makes it. With two shots of sweetened Old Havana espresso, it's a perfect blend of just enough caffeine and sweetness to fit everyone's palate." Erin Jackson is a San Diego-based food writer and photographer who loves sharing her latest finds. If you enjoy food and cat photos, by all means, follow her on Instagram.